BEL Career Recruitment 2018-2019 Jobs Notification Application Form for 30 Contract Engineer (Electronics) Posts through Official website www.bel-india.in. 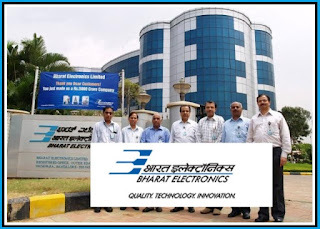 Bharat Electronics Limited-BEL Career 2018 30 Contract Engineer (Electronics) Posts last date for submission of online applications is 15.08.2018. BEL pattern of examination, BEL Syllabus, BEL Question Paper, BEL Admit Date Release Date, BEL Exam Date, BEL Result Date etc.